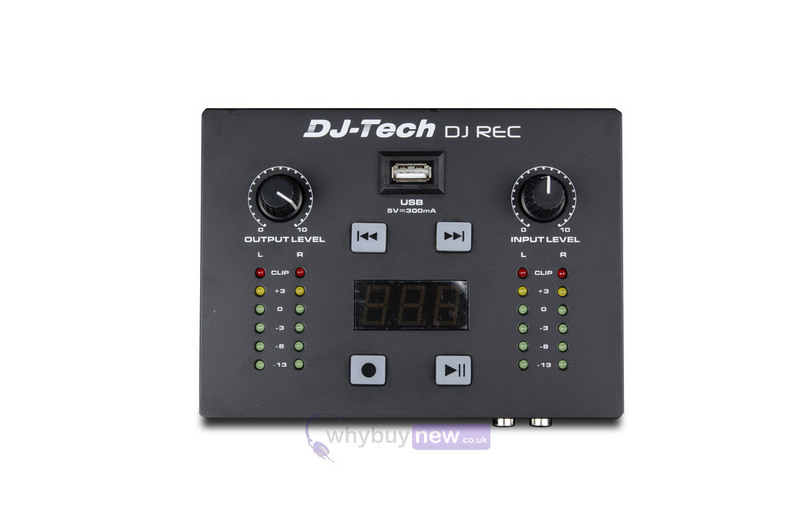 The DJ Tech DJ Rec Mk II is a portable DJ recording solution - an updated and improved version of the DJ Tech DJ Rec. 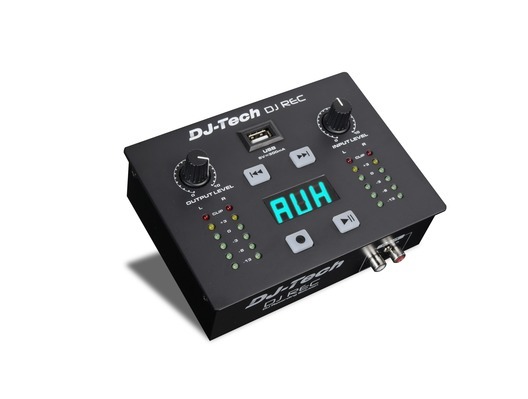 Perfect for creating impromptu DJ recordings, it features a USB port so you can plug in a USB stick and start recording straight away. The two adjustment knobs allow you to control input and output level, and there is also a level meter for monitoring the signal to prevent clipping. Additionally, the DJ Rec Mk II is lightweight and compact in design, making it ideal for taking along with you on your travels. The DJ-Tech REC in the new and improved MK2 version invites you to spontaneous DJ recording sessions. Thanks to the USB port, you can simply plug in a USB stick and start recording. 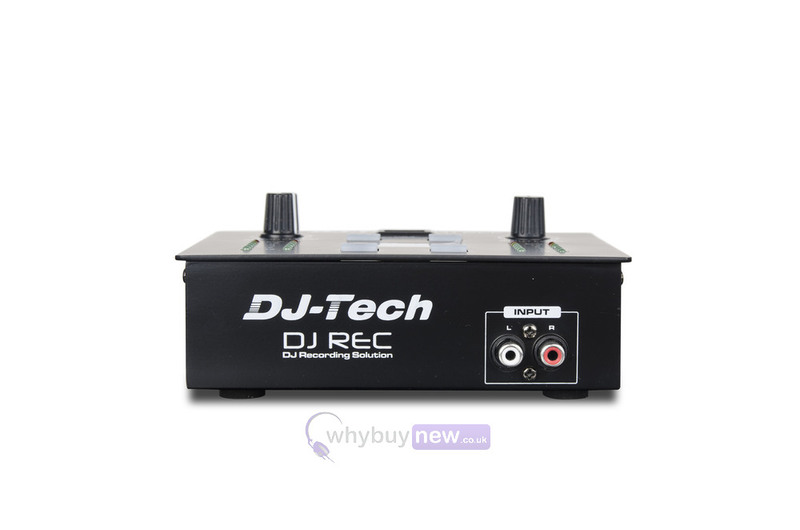 The low weight and compact dimensions make the DJ REC an ideal companion for travel, trips and small DJ rooms. The input and output level can be easily adjusted with the 2 knobs. To prevent clipping, the DJ REC also has a level meter to monitor the signal. A Chich input and an output make the DJ Rec complete. 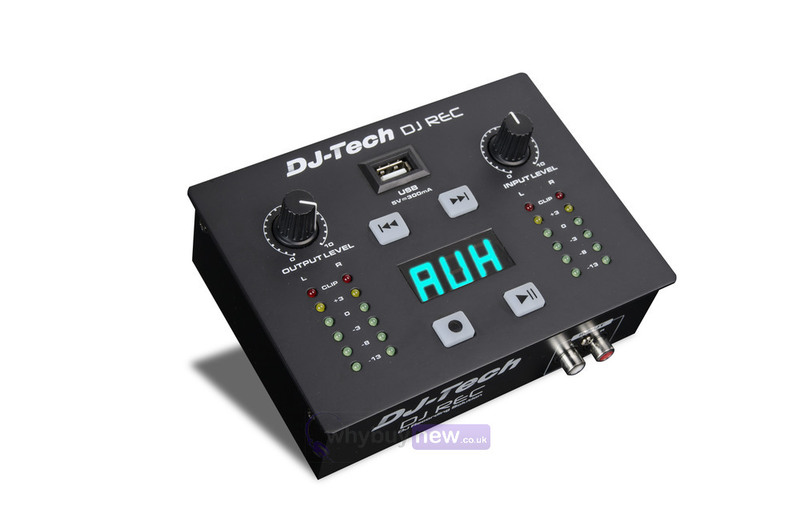 Here we have the DJ Tech DJ Rec Mk II in new and manufacturer refurbished which will come boxed 'as new' with a 1-year warranty. 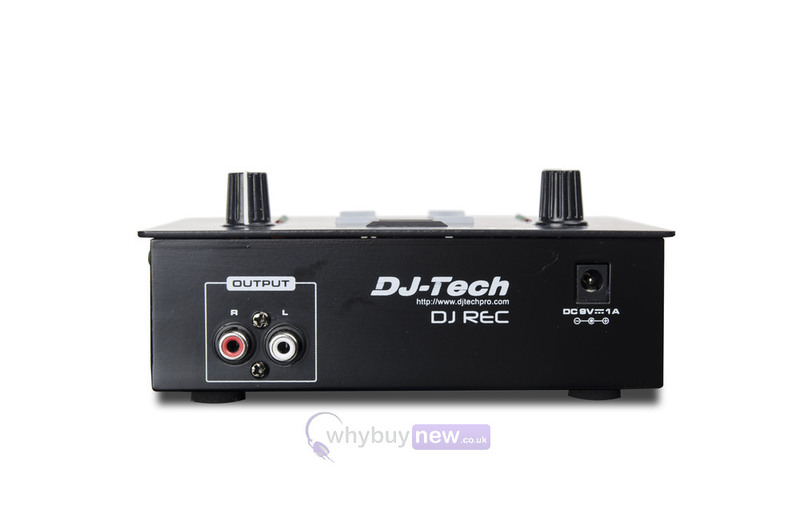 Buy this amazing DJ Rec Mk II with confidence with 100% satisfaction guaranteed or your money back!